19 | February | 2010 | Through the seasons before us.. Bit late off the mark with this, been a busy week! 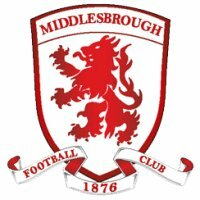 We welcome Middlesbrough to Nottingham for the second time this season, of course – having already had them visit for the Carling Cup back in August. We triumphed 2-1 that day, and coupled with a November draw in the league at the Riverside Stadium, the midland Reds have the edge on results so far this season. The appointment of Gordon Strachan took Boro from automatic promotion contenders to mid-table stragglers, having signed seemingly half the Celtic reserve side he finally seems to be getting some semblance of performance out of his new charges – and has them eyeing a play-off spot currently. The Reds, of course, have had a very different trajectory in the same time-frame. Forest have nine straight City Ground wins in their sights following the win against Sheffield United on Tuesday, whereas Middlesbrough prepared by losing to 2-0 Blackpool (who had been reduced to ten men), although a missed penalty in that game could’ve produced a better result for Boro. Their last few away games have been a real mixed bag, they beat Doncaster but have lost to Newcastle, Barnsley, Sheffield United and Blackpool – with a draw against Ipswich. 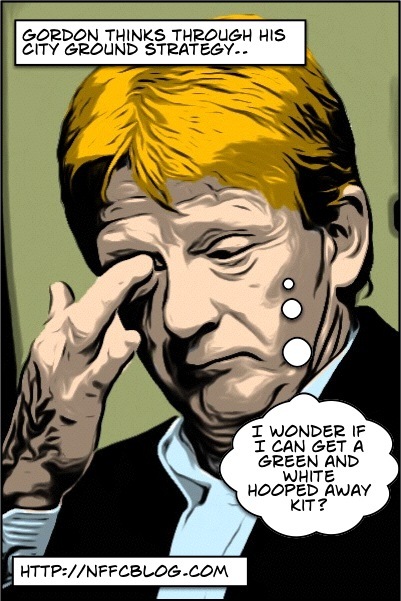 Strachan is apparently quietly confident ahead of the visit, and will be hoping O’Neill is available for his selection to add to the positive news of Pogatetz and Killen recovering from injury. The Reds have no fresh injury worries, so McCleary’s suspension and Joel Lynch’s ‘injury’ are the only things hampering Billy’s selections, as well of course as the long-term injury to Julian Bennett. Barry Robson could be a player of interest – Forest tried hard to sign him from Dundee United when he eventually ended up with Celtic under Smoulderwood. He’s one of five players from Celtic that Strachan has signed for Boro, and has been quite vocal about the need for improvement to elevate the north-easterners to a better league placing than their current ninth. Another positive atmosphere from the crowd will be hugely helpful to get the Reds off to a good start tomorrow, much like I’m sure it helped on Tuesday. Whilst Boro have been on a bad run they are starting to show signs of recovery to get back on the promotion trail – having said that, whether feeling ‘quietly confident’ or otherwise, the City Ground wouldn’t be their first choice of places to be visiting. A win for the Reds could see them make up more ground on Newcastle – and overtake West Brom at least for a day, as they face an unpredictable trip to Bristol City on Sunday. Newcastle have a home game with Preston which, frankly, following their mauling at the hands of Derby, I can’t see them struggling with too much. I think it unlikely we’ll be anything other than third still come the end of the weekend.